If you intend on planning a trip here, you’re in luck— Switzerland offers an assortment of things to do that will feed your soul and leave you revitalized and rejuvenated. The Alps, blue lakes, mountain-fresh air—Switzerland is an adventurer’s dream. The entire country is a playground for anyone seeking an adrenaline rush amidst breathtaking scenery. Despite its relatively small size, there is no shortage of options for thrill seekers visiting Switzerland. It was my first time in Switzerland, and I was already familiar with the taste of Swiss chocolate. I’d longed for their endless selection of cheese and was dying to see the Alps up close. Ascona was the first place I visited in Switzerland. After having stayed in Russia for an extended length, where it was particularly cold and rainy in Saint-Petersburg, we opted for a lake view hotel. This provided more of a summer view of Switzerland with the calm lake water and green mountains in the background. 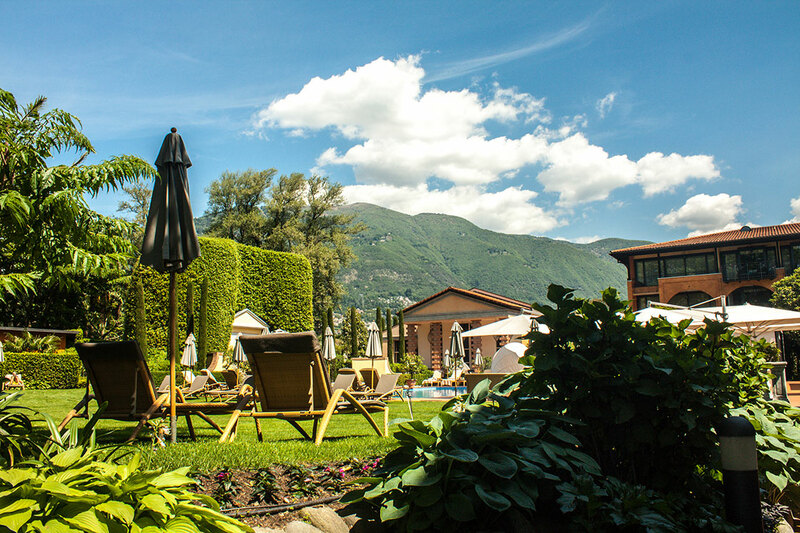 We were staying in Giardino Ascona Hotel for one day (we were originally staying there for 2 days, but arrived late). It’s comfortable, friendly, and in a superb spot, sandwiched between the town and a golf course. 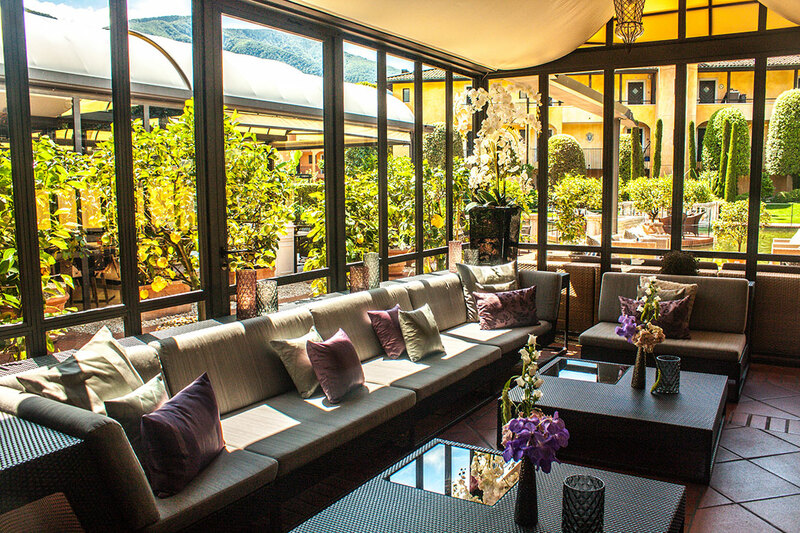 In all honesty, Giardino Ascona Hotel has become one of my favorite among others, mainly because…well, because of EVERYTHING. Firstly, the location is perfect. 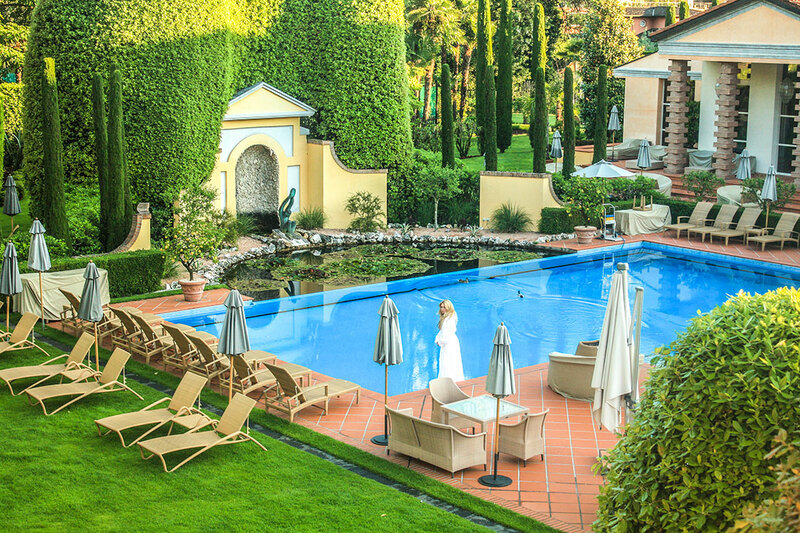 It’s just two minutes from Lake Maggiore, the second largest lake in Italy and the largest in southern Switzerland. This allowed us to enjoy our evenings walking by the lake. Secondly, it’s extremely beautiful from an architectural point of view. You could say that it has the Italian beauty and savoir-faire accompanied with Swiss quality, resulting in a very impressive building. Thirdly, it combines a laid-back ambiance, a high-level of service and a charismatic design reminiscent of Mediterranean savoir-vivre. 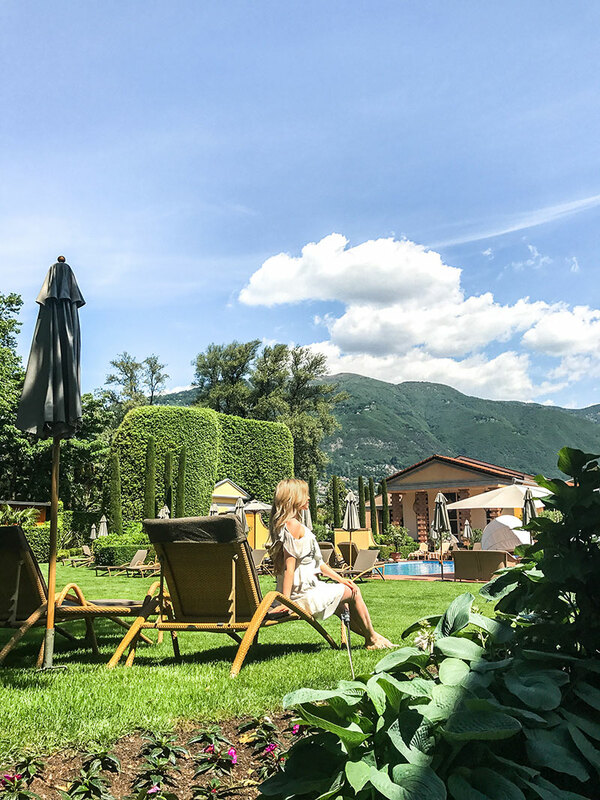 Breathe, relax, stroll, chill, move, marvel or enjoy – this retreat for your soul provides undiluted relaxation with character in picturesque Ticino, the Italian part of Switzerland. We arrived at the Hotel very late, and I could barely keep my eyes open. After all my flying, I expected to sleep for at least two days. But a miracle happened—5 hours was enough for me to sleep it all off. I slept like a rock! I’m sure the fresh air played the role. 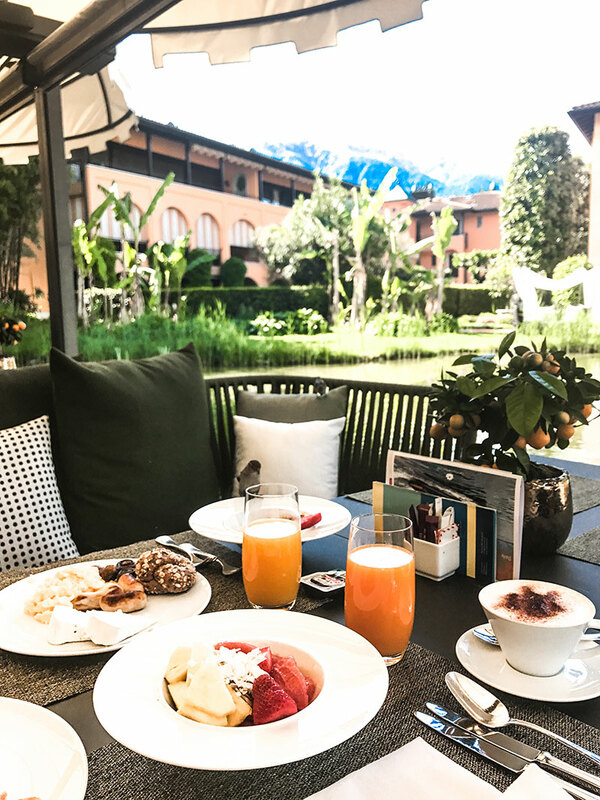 Our morning started with a perfect breakfast. I must admit that I forgot about my diet and chose to try all the Swiss dishes at the restaurant. We spent the rest of the day relaxing by the pool, where we were given ice-cold towels to refresh. It was fantastic! 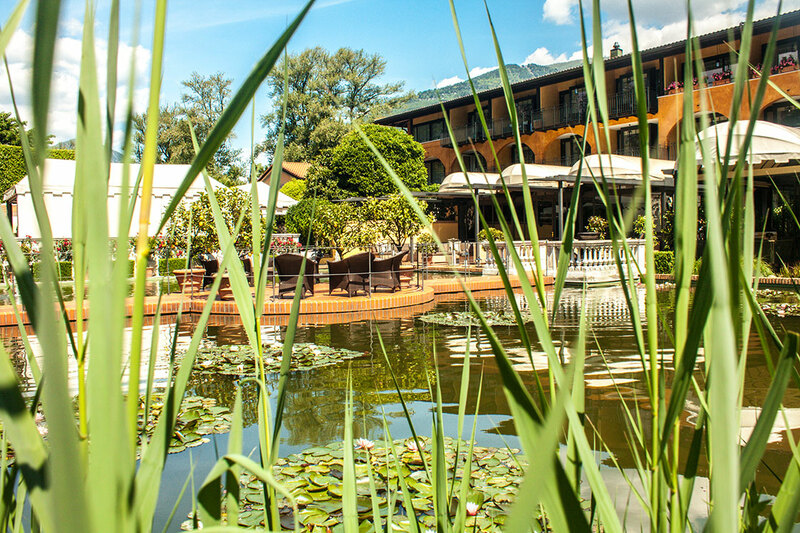 To sum up, the Giardino Hotel is just fabulous in every aspect. 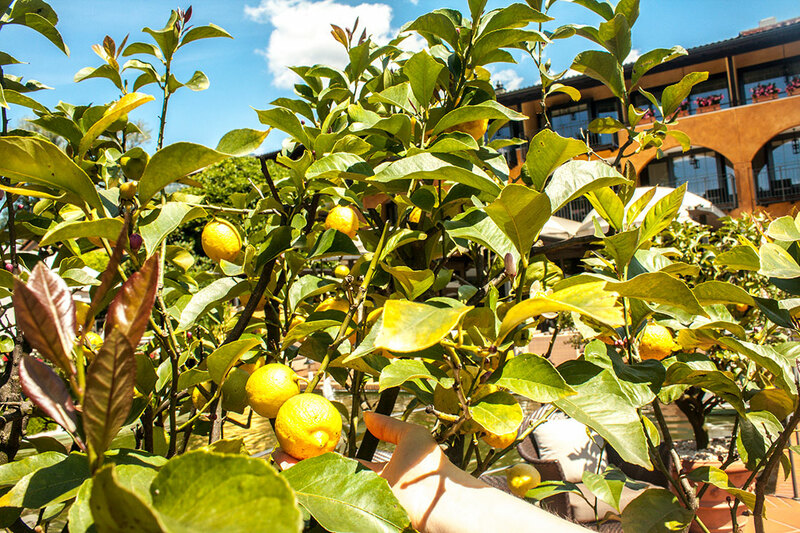 The staff are extraordinary and super nice, the food is great quality, and generally speaking, everything about it screams taste, quality, and tranquillity. Although it was just a day trip, it’s clear to me that I need to visit again and spend more time in this re-energizing locale.